Due to popular demand, two bedroom apartments on the ground floor of Pyramids II are being converted into studio apartments and we have several studios available at £17,800. Comprising of 208 luxury apartments each with air-conditioning and satellite TV, Pyramids II development lies just 250 meters from the Red Sea and just minutes from Hurghada and El Gouna. Investment options including rental pools, multi purchase discounts, early resale option and early payment discount are available to buyers together with a capped management fee of £500 p.a. guaranteed for 5 years. 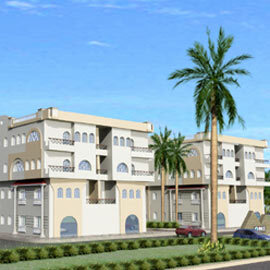 Top-quality property and unbeatable value makes Egypt a leading destination for investors. There are excellent capital growth prospects of up to 30% per annum, high rental returns from year-round tourism and no capital gains tax. New Skys is a leading UK overseas property website, with a huge choice of top-quality investment and holiday homes. Buyers have the security of knowing every property has passed due diligence checks, and our Customer Charter promises the highest professional standards.